And, since I am, might as well play a little catch-up. May 31 1900-2100 I'll be doing a reading from "Violence: A Writer's Guide" (Second edition, 66% more fun) for the Bards and Brews event at: Primrose &Tumbleweeds 248 E Main St. Hillsboro, OR. I'll be reading from VAWG and maybe from "Horrible Stories I told my Children"
June 1-2 Seminars in Silverdale, WA. Conflict Communications + Introduction to Violence. More information and sign-ups are here. Writing front, the second edition of VAWG is out (with an introduction by Steve Perry!! 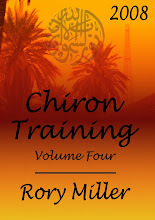 ), available in e-books and paperback. Only in e-book form. Amazon here. Other formats on SmashWords. The video, "Logic of Violence" is also out. I really struggled with this material. I learn better by reading and playing than by watching and I've been slamming my head over how to present the material. LoV works great in a class room, where a group of martial artists work everything out for themselves. But reading lacks the interactivity. Put it this way-- every single self defense instructor tells you the same things about not being a target. Tells you places to avoid and stupid things NOT to do. It comes as received wisdom and is really easy to ignore. In the LoV class the students recreate that advice because they make a list of who they would be looking for to victimize and where they would look and how they would isolate... Instead of just words they know it becomes concepts they understand. And no matter how skillfully I wrote it, the self-discovery power would be absent. So David Silver, YMAA's resident video genius said, "Why don't we just film one of the classes?" And this is it. 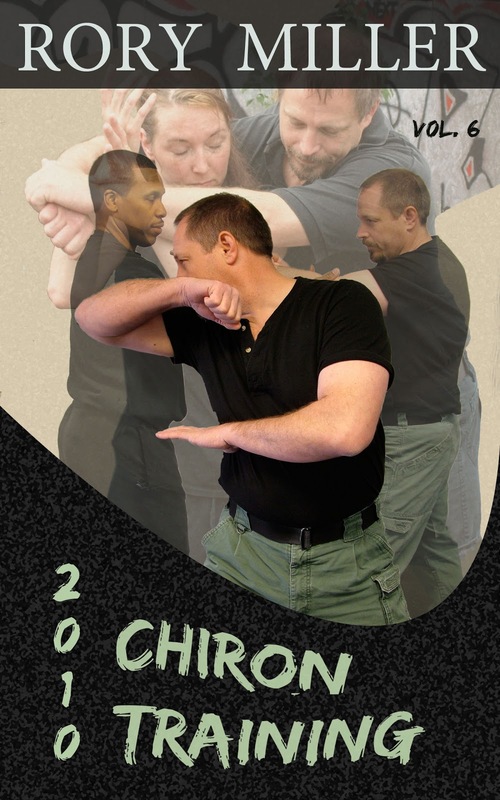 The information is crucial if you want to systematically build, expand or refine your personal self-defense program. Radio interview coming up on KALW in San Francisco tentatively July 8. And just got asked about a guest appearance on a cable show. Had a fifteen minute conversation with Edwin. Which always leaves me 1) wishing I had taken notes and 2) fairly certain that I didn't understand most of it. I'm entirely cool with having a wide circle of friends who are much smarter than I am. It makes me work harder and it's comforting in a weird way. Sometimes I have an over-developed sense of responsibility and it is good to know that there are better people taking the load. I like a human sized world with human-sized problems. But I know the universe is both very large and very tiny and that my human perceptions and needs and desires are completely unimportant. The universe is what it is, not what I want it to be and there is no rule that says the universe needs to make sense-- and certainly no rule that gives me the right to define what sense is. But it does make sense, so far, and it's actually kind of odd (and maybe a little suspicious) how consistent the universe is. But that's a long talk for narghila and scotch. In the conversation with Edwin-- you can look at things at the human sized level and see stuff. Good stuff and important stuff. Then you get the metaphorical microscope out and you see entirely different things. And here's the weird part: Not everything you see is microscope size. Some of it opens up back to human sized applications. Affordances: Do you learn to see them? Or do you learn to NOT see alternatives? Does a child learn that a chair is for sitting in? Or does the child unlearn all the other cool things that can be done with a chair? Is seeing possibility a passive or an active function? Can it be both? Is that why I find rolling relaxing instead of exhausting? Do you see more when you let stuff in or when you actively look? And does seeing more inhibit interpreting? And is interpreting an act of seeing possibilities or an act of discounting potential so that only a limited number of possibilities are clarified? Can you train both possibilities? Is it possible that I am trying to train people for passive observation but active interpretation and exploitation? And unknown to me, the students may be reversing the active and inactive parts? None of which make either of us wrong, mind you. Or right, either. It's a big rabbit hole, and there isn't a bottom. So a thanks to the people who can get me thinking like this-- Edwin, Marc, Kai, Mac, Maija, Erik. This could be CofV 12.4, but it is really it's own thing and critical to everything. Not just self-defense, but every last damn thing. One internet warrior years ago said, quite pretentiously, "When one can control space and time, one is unbeatable." Or words to that effect. Distance is not the same as space. Understanding distance is just one dimension of three dimensional space. Understanding space makes most physical skills into a type of geometry study, and usually the geometry of a physical problem is easy. Aside-- Solutions are easy. Injuring a person is easy. Moving, if you are reasonably athletic, is easy. Reading and manipulating the dynamics of two moving bodies is not so easy, but it is almost exactly what all creatures were evolved to do, so it isn't exactly hard, either. The physical part has never been the hard part of self-defense. Knowing when to act, trusting your judgment, giving yourself permission to do what needs to be done and doing all this from a position of physical and mental disadvantage while surprised-- that's the hard part. And the part most teachers shy away from because (I believe) they don't know what to say. The only thing easier than the physical part is the intellectual understanding of the physical part. And that is sometimes a trap. Knowing the words is not the same as knowing the music. Knowing something with your head alone is almost useless when it comes time to apply those skills with your body under stress. But people often believe that knowing is the same as understanding, and that the ability to talk about things or answer questions is in some way correlated with the ability to do those things. It is not. -- Aside ends. Distance is time. The farther away a threat is, the more time it will take to reach you. The critical distance is inside reach. The person can hit you solidly without any weight shift at that range. Unless the threat telegraphs badly, the strike will land before you can react. You will get hit. Two corollaries: 1) Bad guys become skilled at getting to this distance without putting you on alert. The more aware you are of unnatural distancing and the more you show your preparation, the less likely you are to be targeted. A little boundary setting doesn't hurt. 2) If the threat attacks with a flurry, the information (each strike is a data point) will come in too fast for you to close your OODA loop and you will freeze. The solution is to bypass the OODA loop through operant conditioning. You spike the attack instead of responding. Just outside the critical distance, the threat has to shift weight to reach you. This creates an unavoidable telegraph that can give you time if you are quick and ready. Note-- both critical distance and outside critical distance can be altered by weight shift. If the weight is balanced or on the back leg, the lead hand/lead foot have the longest range. However if the weight is on the front foot, the rear leg has a much longer range. There are some people quick enough with kicks to get surprise with them. Also, weight shifts can be disguised by movements or gestures. The pretending to turn away to coil a strike is one obvious example. The next level of distance requires a step to make contact. Just be aware that a skilled drop step can hit without telegraphing from roughly six inches beyond single step distance. Drop step is a good tool. All changes with weapons and barriers of course, but reading distance is a skill you can develop. Actually, if you have any striking sparring experience at all, you should have this down cold. The test is whether you ignore completely strikes that are out of range anyway. If you still block things that were never going to reach you, go back to basics. So when is a threat a threat? When he can reach you. You have the big drunk guy in full monkey dance screaming threats, you are in no danger. Until he gets to the critical distance line. Then you will have to make a decision. You have the PCP freak sweating, spitting blood and hyperventilating? If you can appear calm and keep from triggering more adrenaline in him, there is a chance he will run out of steam, and your ability to stay calm involves trusting your reading of distance. And if a stranger in a lonely place is trying to get inside your critical range? Yeah. To recap the last post and the comments on the last post- A “High level conversations” isn’t a matter of knowledge or experience, not in this field. Knowledge and experience never hurt of course. Not ‘never.’ If the experience is overblown or misremembered or poorly extrapolated it can go bad. If the knowledge is of myth, folklore and received wisdom without a reality check the conversation could be very high-falutin’, but the information passed could be deadly. Here’s the deal. Extreme violence happens at the edge of what humans were evolved to handle. Much of it happens in contradiction to our early conditioning about reality. And it happens in a stew of stress hormones that affect perception, cognition and memory. My experience is that very few people experience enough serious violence that the lessons learned there replace social expectations. Even fewer experience enough to get a handle on the sensory and perception distortion. Only a percentage of those have the discipline, desire and/or job requirement to evaluate those distortions and compare them with the actual events (I will go on record as thankful for the hundreds of reports I had to write, though I hated them at the time). And of those few, the number that have experienced more than one very small piece of this big puzzle are vanishingly small. 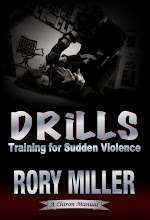 Soldiers learn part of it (different parts at different intensities depending on MOS and era); cops learn a different part; bouncers another part; targets for sexual assault a much different part. As do the night clerk at the local Stop-n-Rob or any of the actors in a domestic violence cycle. And cross a border or change the decade and many of the rules and social conventions of violence change. So one of the students at the Oakland seminar asked if he was qualified to teach. The sentiment was an echo of Pax in the comments on the last post. I don’t know what qualified means. The best handgun instructor I ever had has shot exactly one man. In the back. It wasn’t a gunfight. It wasn’t the way wannabe’s fantasize. A bad man needed to be shot to save the life of a third party and my instructor did it in the safest, smartest way. I can think of three (at least) of the top handgun instructors in the country who have never shot anyone. Does that make them unqualified? And some of their students have used the training and survived. How much does that mean, really? And out of left field—my wife sometimes teaches belly dance and she’s used those concepts to vastly improve my understanding of body mechanics and increase my striking power. Movement is movement and movement experts of any kind can help you. So are you qualified? Depends. Can you make people better? One of my FB friends was assigned to do an essay on why he was a self-protection expert. It was essentially a self-esteem building exercise, and he did a good job… but I would encourage every SD instructor to write a little private essay on why they are not experts. To get a start on the very long list of things that they do not know. It’s not only humbling, but it gives you a place to start when you need to learn. So, I don’t know qualified, but I can pick out unqualified in a heartbeat. If you are there for your ego instead of the student’s improvement, walk away. If you don’t know the basic context of modern self-defense (how attacks happen, SD law and the legal process, etc.) you aren’t ready to teach yet. And if you haven’t, on your own, recognized the need and started researching this stuff, you aren’t responsible enough to teach yet. If you think trying to teach martial artists to fight is the same as trying to teach a victim profile not to be targeted, you aren’t teaching what you think you are teaching. If you need to be top dog, you might be teaching people to win but you are conditioning them to lose. You are creating victims. If you think SD is primarily a physical skill, you don’t understand the basics. If you think your experience, whatever it is, qualifies you to talk authoritatively about things outside your experience, it’s a red flag. If your techniques require a martial athlete in top condition to work, they’re inappropriate for self-defense. And probably really inefficient. The trouble with this list, of course, for those of you wondering about your qualifications is that they are much harder to see from inside your skin. You have to develop a group of honorable enemies. A friend started an on-line discussion about why it was so hard to have a “high-level” discussion about self-defense and martial arts. It isn’t. Part of the problem is that he was trying to do it on the internet, and we all know what kind of person writes stuff on the internet (you have to imagine me looking around at this page for the humor to sink in). In order to have a good conversation, you just need good people. In order to have an intelligent conversation, you need intelligent people. See a pattern here? One of the big problems for potential students of self-defense and martial arts is that almost all are naïve consumers. A naïve consumer is one who can’t tell a good product from a bad product. Most people, when it comes to anything related to violence, can’t distinguish knowledge from horseshit. They simply don’t have a frame of reference. And here’s where it gets interesting, in martial arts: The naivety often doesn’t change. When you get someone truly naïve, they have no truth to compare with what they learn and so whatever they learn becomes, to them, the truth. And they can continue to learn and advance in rank and pass on knowledge and come to believe that they are very high-level practitioners with deep understanding… and their most basic facts are wrong. They have a deep understanding of myths and many are willing to share it (or sell it). In other endeavors, where success or failure are visible and undeniable, it is hard to stay this naive. In other places stupidity hurts. Not so in many martial arts (and one of the many places where sports arts have the edge). And to other naïve people, they sound good. Impressive. To people who have experience, they sound like first graders trying to explain where babies come from. So that’s the first hurdle. I know my criteria for people I trust. Possibly more importantly I have enough experience to pick out the kuchi-waza practitioners fairly quickly. Without that experience can most people even identify a high-order discussion? Oakland has been a kick-- fun and rewarding. Two more days before I can do a full After-Action Report. Got to spend some time with Toby and make nefarious plans. Got to really appreciate how Maija moves with a blade. Got to play and think with some extraordinary people. Blood, sweat and tears make a perfect training day, and none of it could have happened without Peter. Looking ahead. I still have Missouri, Bremerton WA, and Germany coming up. Then surgery. The doc says a long recovery. He says eight weeks immobile and eighteen months off the mat. That's unlikely. I'll definitely have to change some process and for a short while really hold back on some things that I love... but change is growth. So one of the plans. Physical therapy works for some things, and some things trained early enough and hard enough are far less perishable skills than we think. But my body will be a little different after this, atrophy and the like, and building of muscles is not the same as the building of trust in the muscles. Flow and timing will have to be established, reinforced and integrated. And mostly about me and building up my timing, speed, endurance and flow. Students and fellow explorers would be along for the ride. Somewhere IN SW Washington.